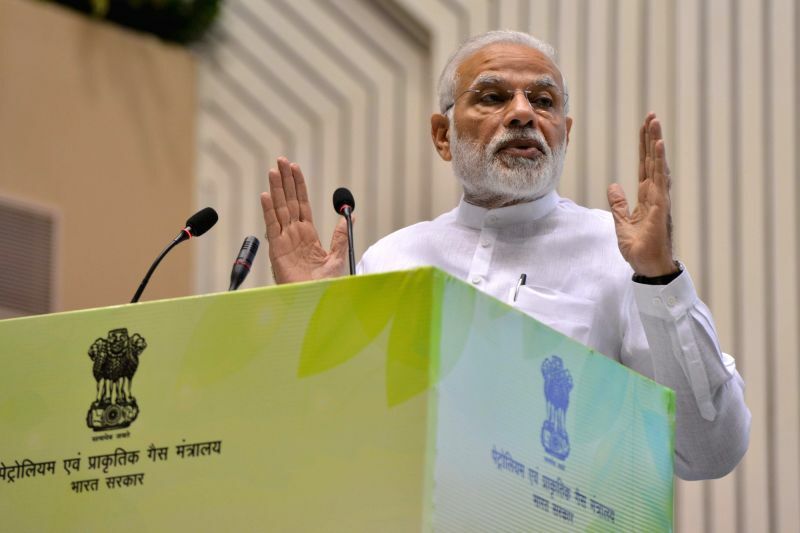 : New Delhi: Prime Minister Narendra Modi addresses at the inauguration of the "World Biofuel Day 2018" programme, in New Delhi, on Aug 10, 2018. (Photo: IANS). New Delhi, Aug 10 : India expects to save up to Rs 12,000 crore in foreign exchange over the next four years through blending ethanol in petrol, Prime Minister Narendra Modi said on Friday.